Laptops from Acer and Asus will ship with WiGig, and wireless charging products will be shown at CES. In the not-too-distant future, PC makers want to free your laptop of wires and cables. Some announcements at CES signal progress toward that goal. PC makers want to bid adieu to bulky power adapters, and make charging as simple as placing a laptop on a kitchen counter, desk, or table at a cafe. Another goal is to establish speedy wireless connections between laptops and external peripherals, which could eliminate wired ports like USB and HDMI from PCs. There wasn’t a specific product announced at CES with all the key wire-free attributes. But some laptops were announced with integrated WiGig, and wireless power standards organization AirFuel Alliance said that products capable of charging laptops would be available this year. Acer said its TravelMate P648 series laptop was the first of its kind with integrated WiGig, which could be up to 10 times faster than Wi-Fi 802.11ac. Targeted at business users, the laptop will be priced at $799 when it starts shipping in April. The 14-inch laptop is loaded with the latest technologies like optional Intel Skylake chips, Thunderbolt 3 ports, DDR4 memory, and optional Nvidia GeForce 940M graphics. WiGig doesn’t have the range of Wi-Fi, and communication is largely limited to devices within a room. Data transfers happen on the unlicensed 60GHz spectrum. 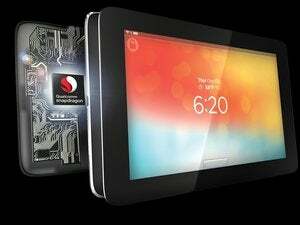 Qualcomm has estimated its WiGig chipset transferring data at a rate of 4.6Gbps (bits per second). But there’s a problem—peripherals with integrated WiGig aren’t yet available. Peripherals like monitors and external storage need to be hooked up to a WiGig dock to get the feature. In the wireless charging arena, standards organization AirFuel Alliance said many products would debut this year after it achieved regulatory approval worldwide for its certification program. Some device makers will introduce wireless charging stations for devices up to 70 watts, a power profile within which smartphones, tablets and mid-range laptops with up to 15.6-inch screens can fit. AirFuel Alliance—which was formed after the merger of A4WP (Alliance for Wireless Power) and PMA (Power Matters Alliance)—said devices based on its magnetic-resonance technology will be shown at CES.